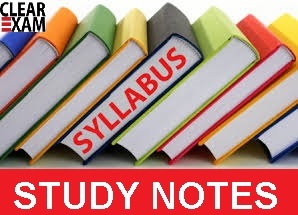 Here we are providing you detailed Study Notes on Noun which will be helpful for Upcoming CLAT and other Law Entrance Exams. A sentence is group of words arranged in a manner, which makes complete sense. Words are divided into, different kinds or classes called Parts of speech according to their use or according to the work they do in a sentence. A noun is one of these parts. A Noun, is a word used as the name of a person, place or thing. The word thing includes (i) all objects that we can see, touch, hear, smell or taste and (ii) something we can think of, but cannot perceive by senses. There are five different kinds of nouns. They are: (1) Proper Noun (2) Common Noun (3) Collective Noun (4) Material Noun and (5) Abstract Noun. 2.Common Noun : Common Noun is the name given in common to every person or thing of the same class or kind. Some examples : Table, glass, town, king, etc. 3.Collective Noun : It denotes a group or collection of similar individuals considered as one complete whole. Some examples :Army, Class, jury, etc. 4.Material Noun : It denotes matter or substance of which a thing is made. 5.Abstract Noun : It expresses quality, state or action. Riches in the above sentence means ‘wealth’ and not ‘many’ rich men. In other words ‘Riches’ is not the plural of ‘Rich’. The word -has its independent existence and is always used in plural. So, we have used a plural verb (have) with it. Note: Mathematics looks like plural but, in fact, it is singular. So, we cannot use plural verb with it. You can comment in the comment box.